Children’s author Alice Cussler is pleased to present her new book: “All My Friends Are Spiders – All about Spiders for Kids: Do Spiders Bite? What is Spiders Web? – Spiders Pictures and Spiders Facts”This educational book for kids contains many colorful images and interesting facts about different Spiders. Kids will learn interesting facts about the life of these amazing creatures, including:- Jumping Spiders- Orb Weaver Spiders- Wolf Spiders- Garden Spiders- Daddy Long Legs Spiders- Crab SpidersLittle spider Twigs has a lot of friends and all his friends are Spiders. They like to play together as all kids do. People created a lot of tales about Spiders. They think that Spiders are scary and angry. 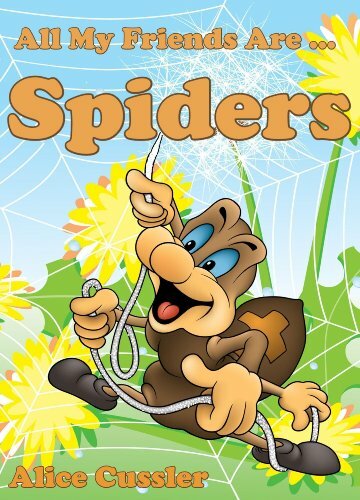 Kids will learn that in fact spiders are very beneficial for people, because they fight mosquitoes and pests.This book is written to teach children to be responsible towards animals. If children learn to love and respect animals, they will become reliable and responsible adults.Note: This book is suitable for children 7 years and older (or parents may want to read this book with their children).SPECIAL PRICING: This book is exclusive to the Amazon store and is currently set at a low promotional price. ALL types of your favourite salads, NOW LOW-CARB! 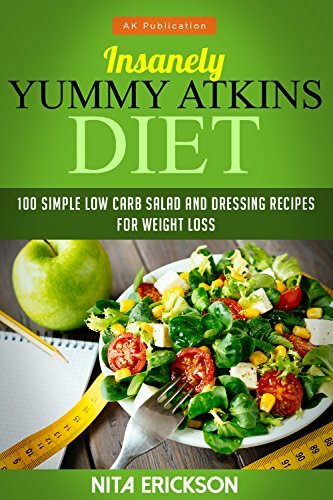 Here are 100 simple Low-Carb salad and dressing Recipes for Superb Health & Weight Loss which will make your meals yummy like it has never been before! These 100 Recipes are so Insanely Yummy, Nobody’ll Believe they’re Low-Carb! Here are some of the most AMAZING Low-Carb Salad Recipes that’ll get you salivating right now! I bet, you couldn’t experience these recipes without getting ravenous! Not just are these formulas extraordinarily delicious, every one of them has an itemized breakdown of the fat, carb and protein content furthermore other valuable subtle elements like prep-time, number of servings and so on. Don’t miss this opportunity to BUY NOW at the Lowest Price ever! Nostalgic for your 1970s childhood? Me, too! I am nationally syndicated humor columnist Tom Purcell (www.TomPurcell.com). My column runs in more than 200 newspapers across America. In the past decade my readers have made it clear that they especially enjoy humor pieces that relive the misadventures of a typical 1970s childhood — so I wrote a book. 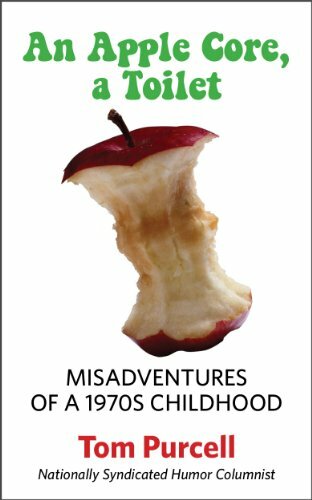 “An Apple Core, a Toilet: Misadventures of a 1970s Childhood” includes misadventures and fond memories that are relatable to millions of baby boomers, men and women alike. It includes 22 stories about bike jumps that nearly killed us, vengeance on the sledding slopes, 6th grade puppy love, the old wooden stereo console, the embarrassment of getting the first David Cassidy shag haircut, a beloved family dog that ran away, going through the old photo box as a kid and later as an adult with my mother, a baby sister left behind at the drive-in theater, a regrettable incident in which an 11 year old kid clogs the family room toilet with an apple core, and many other tales from the ’70s. For more details, visit me on the Web (www.TomPurcell.com) or email me at Tom@TomPurcell.com. Two decades of genetic research and experimentation, subsidized by the Iranian Ministry of Health and Medical Education, produces an amazing animal of the sub species Canis Lupus Familiaris. It appears to be a large golden retriever; however, it has one salient attribute that separates it from the rest of the canine world, it possesses the intelligence of an adult human being. 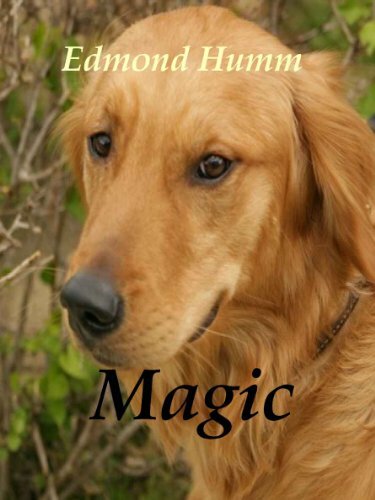 Named Magic by the Marine whose life he saves, he travels from war torn Iraq to America and beyond. Discover the Secrets to Become Super Creative Instantly – Learn how to Unleash your Creative Mind and unfold your Creative Genius. This book teaches you the techniques, qualities and habits of super creative people to develop your Creative confidence and boost your Creativity Instantly. It will help you discover and uncover your Creative powers and creative thinking faculties and take them to the next level . It is going to be easy and a lot of fun and you are going to walk out of this book supercharged to handle all your creative endeavors with more passion, curiosity and confidence and achieve unmatched, unthinkable creative success if you just absorb this book and make it a way of life. You are already Super Creative – This book will only help you Tap into Your Inner Creative Genius by inspiring you and guiding you all along the way. It is my sincere wish that this book helps you unlock your true creative potential and live the creative life that you were destined to live. Brain Training NOW: Who else wants to easily improve memory and increase focus? The brain is like a muscle; it is healthiest when it is active and regularly challenged. By making time to train your brain, you will notice that your brain performs better and remains strong throughout the years. In addition, people also report increased energy and alertness, improved ability to remember names and better concentration. Anyone! This particular book is geared toward teenagers and adults who are interested in improving brain performance. When will a difference be noticed? This really depends on the individual and how much time they devote to training. Having said that though, many people notice an improvement in about a month of training at 10 minutes per day. Scroll up and click the Buy button to instantly download Brain Training NOW! 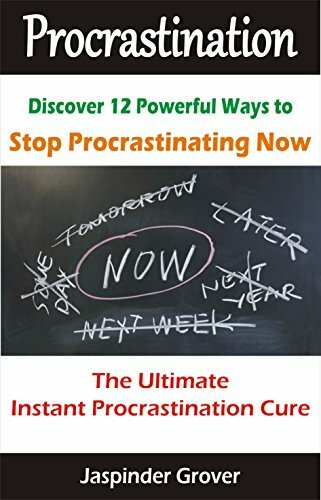 •	How to end procrastination forever and become super productive. •	How to convert yourself from a man of planning into a man of action. •	How to Remove all Resistance and Hesitations you face before starting any task. •	How to Get rid of all the Laziness and motivate yourself to get all your important tasks done. •	Strategies to deal with all kinds of fears that may be leading you to procrastinate. 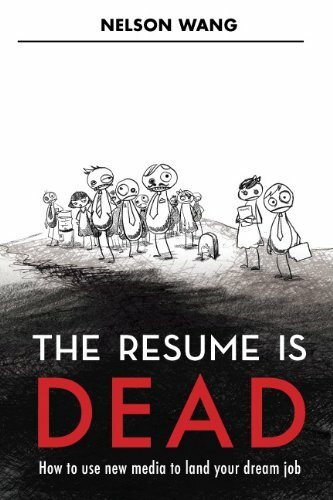 •	How to deal with mammoth tasks and get them done. •	Healthy Work habits that help you minimize the need to procrastinate. 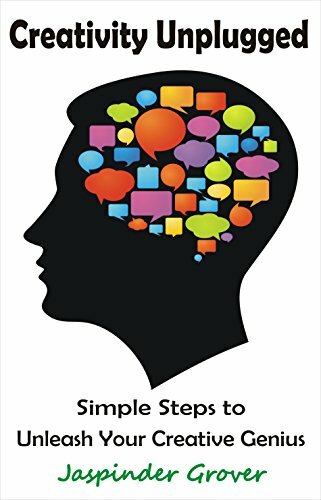 •	The Art of Using Self Talk to Propel Yourself into Action. •	The Science of Using Affirmations to Prevent Procrastination. •	Dealing with lack of Skills and Knowledge that May Lead to hesitancy in going ahead with a project. •	The power of small goals to get bigger things done. •	Killing the perfectionist in you and getting down to action. •	Challenge yourself to Do the hardest job first and enjoy afterwards. 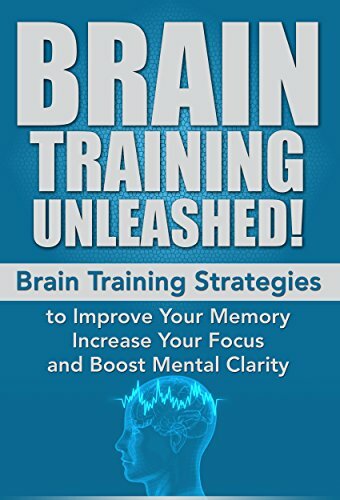 •	Strategies to keep distractions at bay and rush through your task with singular mind focus. •	The Art of using Pain Pleasure principle to get any job done. This book is going to revolutionize your life forever. You will learn the secrets of the go getters who live in the present and get everything done today. You will discover what pleasure there is in living a procrastination free life. So come join me in this short journey where you will learn the Do It Now habit to get much more done every single day of your life. Do you want to make a difference yet face difficult circumstances, conflicting views, argumentative opposition, and emotional ups and downs? Have you ever been frustrated and on the verge of burnout trying to do good things in the world? Is a stress-free (and more effective) way to approach social and environmental action something that interests you? 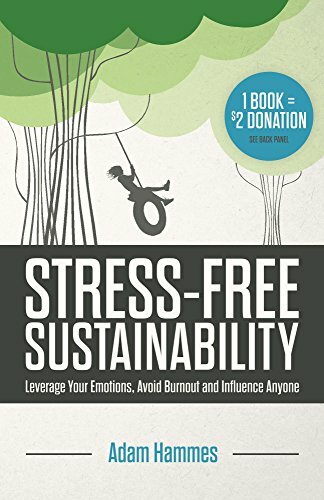 This stress management guide for sustainability champions will forever change you and your experience of feeling stopped when you’re up to big things. It will free you from a vicious cycle of frustration and burnout – the exhaustion of advocacy.You feel called to contribute to society and the planet for a reason. The sustainability revolution (and the world) needs you to realize your potential in order for things to improve.You have enough facts and data. You need influence. In the words of Hunter Lovins, “It’s our job to get better at talking to them.”After even one hour of reading this book of stories, concepts, and techniques, you’ll have the insight and inspiration you’ve been looking for.Emotional intelligence – How to recognize and leverage your own emotional reactions every time for positive results Environmental psychology – How to identify the 3 stages of social and environmental influence – Contempt, Curiosity and Commitment – and apply only the stage-appropriate strategy works to avoid burnout and eliminate anxiety and stress Mastery of persuasion – Dozens of new approaches to influence groups and individuals: from the way you speak, to the way you write, to the way you approach problems in your life and work Passion, like willpower, starts strong but will fade over time. If you continue to fall short of your goals, it leads to cynicism – about the world, your co-workers and bosses, and even your own ability to make a difference.If you have damaged relationships in the past, you will logically continue to damage future relationships for the same reasons, until you try something new. You will grow more frustrated with those you believe should change. And, as many contemplate doing, if you don’t find a new approach you will eventually quit.Instead, struggle less and accomplish more. You can be happier, have more energy, and build relationships you never thought possible. You can tackle larger and larger issues where you feel called to contribute. And you will build larger and larger coalitions in your community to enact social and environmental change.Can you envision a world where passion and caring are constantly being translated into powerful action? Can you picture socially- and environmentally-conscious people around the world having high-impact conversations that produce amazing results in their communities? That can be the world you live in. Have you ever thought to yourself, where is God in all of this? I am a good person, I have a lot going for me, so much to offer the right person, why am I still single? 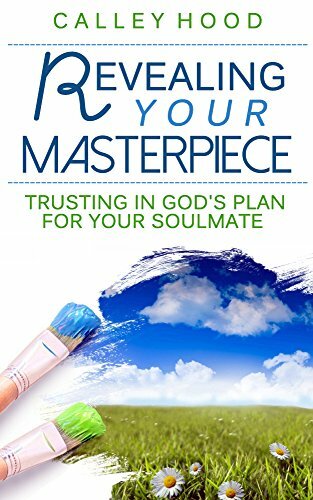 This book is for anyone, woman or man, who is single and struggling with patience and faith to find their soulmate…the one God meant for them.If you would’ve asked me 15 years ago where I would be right now, I would’ve said settled down and married to my best friend with 2.5 kids, living on a 5 acre piece of land, with a ranch style house and a white picket fence. I never would’ve thought I would still be single at 33. After years of practice, I have gotten pretty darn good at being single. I understand now that my plan for my life was not God’s plan for my life. I have embraced it. Even though I do have a strong desire for marriage, I am content with my place in this world. God has given me this gift of “singleness” for a reason. Many of you probably do not consider it a gift because you are so exhausted with the process, but it really is a gift. And I am still waiting patiently and faithfully for God to reveal that person to me.As Christians, we still have struggles just like everybody else, but we learn to cope through faith and prayer. The desire is still there, but we have an outlet or way of managing it. *************In this personal book, Calley explains or shows the reader how to still have faith while waiting and gives hope to the reader by drawing examples from her life and experiences. She guides you to scripture references that have inspired her and encourages you to find your own prayer.This book is written with your heart in mind and it demonstrates how powerful prayer is and how it changes circumstances and lives.She encourages you to keep the faith and continue to pray. God knows the desires of you heart and promises to deliver on time…His time!